You just received your edited manuscript. This is an awesome development, but it’s…well, it’s a mess. There’s red ink everywhere—electronic or otherwise. How do you sift through the sea of changes? Let’s talk about the format. If you’re looking at an edited hard copy of your manuscript, congratulations—you’re holding a rare bird. 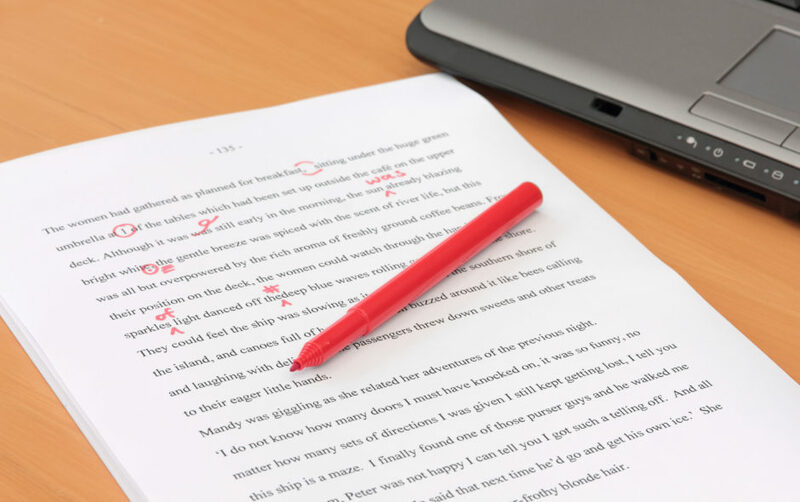 Your editor (hopefully) wrote out clear, concise comments and suggestions in the margins, and errors will have been corrected using copyediting shorthand. But it’s more likely that your manuscript was edited electronically using Microsoft Word. Depending on your experience with Word, your manuscript may be manageable. But if you haven’t explored the glories of the “Review” tab, keep reading for the basics. First thing’s first: make sure you save a working copy of your manuscript so that you always have the file your editor returned to you. After that, save early, and save often. That way, if you make a mistake, you can always go back to a previous version. 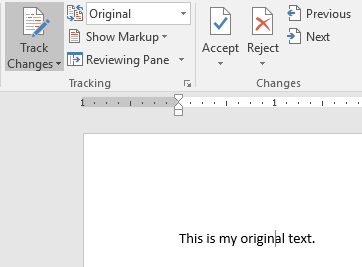 For purposes of this discussion, examples will be shown using the latest version of Microsoft Word. Before you dive into the marked changes, read through the manuscript with the changes hidden. Go to the “Review” tab and find the “Tracking” section. At the top, there’s a drop-down menu with four options: Simple Markup, All Markup, No Markup, and Original. Select “Simple Markup” and make sure that “Show Comments” is toggled on. This will let you review the manuscript without getting tripped up on the tracked changes. You’ll be able to see most, but not all comments, and a red bar will appear on the side of the page where a change was made. By default, revisions in a redlined document are denoted by underlined text (changes) or strikethroughs (deletions). Depending on your settings, moved text may be underlined twice (and is often set in a color other than red). Now that the manuscript is a little easier to read, review with new eyes, and make notes or jot down any questions you have. Keep an eye on those comments, too. 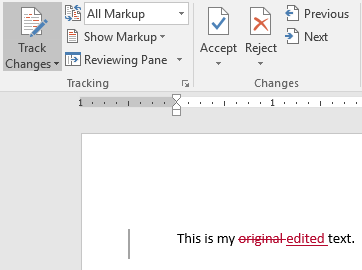 Your editor may not have changed a section of text, but she could have offered suggested changes in a query. 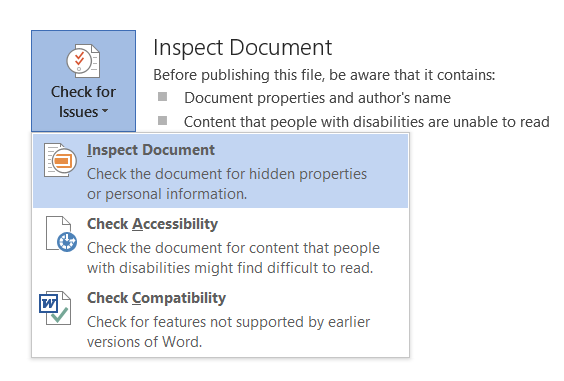 You’re going to spend a lot of time with the “Review” tab in Microsoft Word, especially in the “Comments,” “Tracking,” and “Changes” sections. If you’re interested in seeing your original text, select “Original” from the “Tracking” drop-down menu instead. Toggling “All Markup” will reveal all the hidden changes and comments for you to review. You also can narrow down what you’d like to see by clicking on the “Show Markup” drop-down menu. As an example, you can click on “Formatting” to remove the checkmark. That way you won’t see any incidental formatting changes when you’re trying to focus on the text. Once you’re ready to dig in and make changes, go to the “Review” tab and find the markup drop-down menu. Select “All Markup.” All the insertions, deletions, and comments will show up—even the comments that were tied to deleted material. Review them carefully! You can move between each change by using the “Previous” and the “Next” arrows. 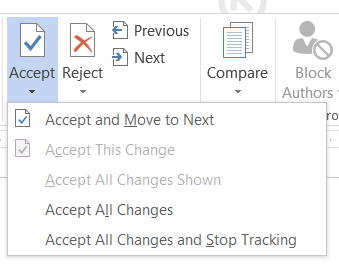 To specifically address each change, you can use the “Accept and Move to Next” to accept a change and move on, or you can use the “Reject and Move to Next” to reject a change and move on. Knowing how to move quickly and easily between comments can make your manuscript easier to handle, which is why you should get cozy with the “Comments” section under the “Review” tab. You can also interact with comments by right clicking on them. The comment drop-down menu gives you a plethora of options. You can reply to a comment—helpful if you’re trying to make a note or if you’re going back and forth with your editor—or mark it as complete once you’ve addressed the issue therein. 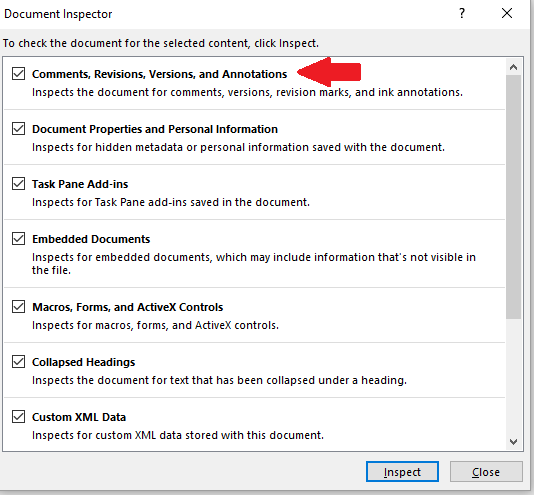 Make sure you check the box for “Comments, Revisions, Versions and Annotations." 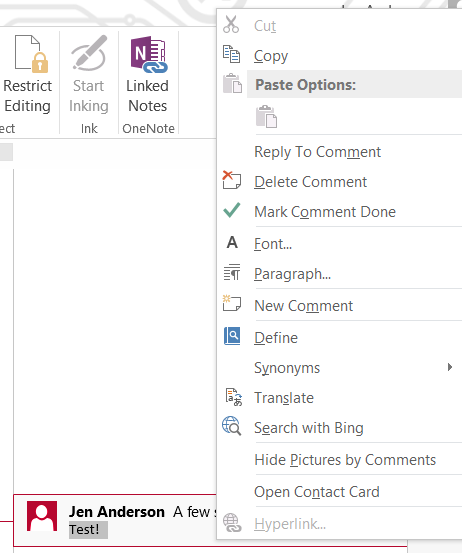 Word will let you know if there's anything left behind that you should address.